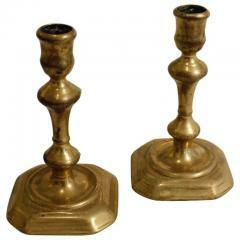 "Candlesticks and other brass objects have made for almost 1,000 years. 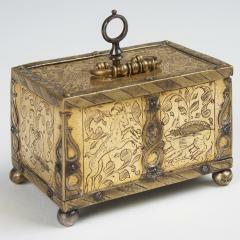 Although many display common forms used for many centuries, it is always exciting to find unique interpretations. 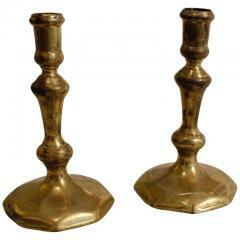 If there is a piece of brass you are looking for and do not see, please call or email, we may not have cataloged it yet." 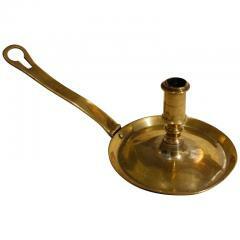 18th century brass Spanish frying pan stick. 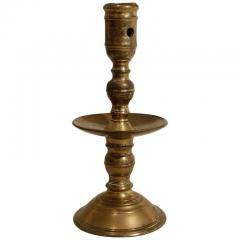 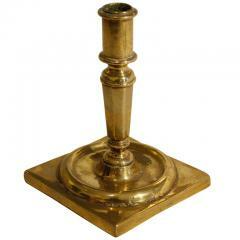 17th century Dutch brass Hemskirk candlestick. 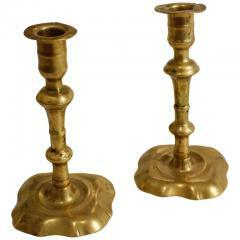 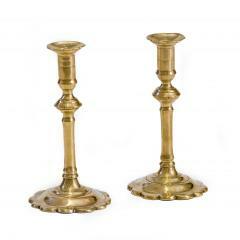 Pair of brass Queen Anne candlesticks with scalloped bobeches, knops with small notches, plain shafts and scalloped bases. 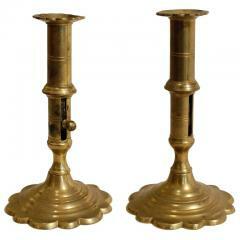 Belted sockets.